Concert 5, October 31st, 2017; Fairfax Theatre, NGA, 7.30pm. At a time when the daily news seems to be increasingly bizarre or distressing, it was a great comfort to enter the world of Kathryn Selby and her colleagues and have equilibrium restored in an exceptional concert – the final for the year. 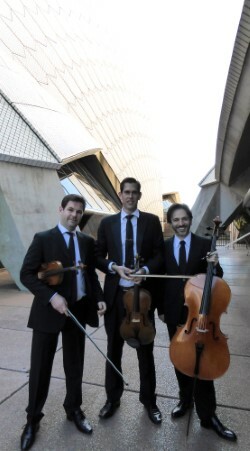 Andrew Haveron, Violin, Tobias Breider, Viola and Umberto Clerici, Cello joined forces with Selby to perform a richly contrasting program of works by Turina, Mozart and Dvořák. This was chamber music as it should be: a lively exchange of musical ideas and creative energy; each musician contributing their unique voice and yet utterly responsive to the balance required to maintain the unified ensemble. It’s hard to fathom why Mozart’s Piano Quartet No. 1in G minor, K.478 met with such a cool reception when it was first published in 1785. To 21st century ears the work is thrilling, with the piano working as hard as the strings to contribute an independent voice as well as offering sympathetic and sophisticated accompaniment. Breider’s phrasing with the viola was particularly communicative in the Allegro ensuring that this important voice was heard, and the piano passages with their complex interweaving in relation to the strings showed off Mozart’s compositional skill to great effect. The subtle string syncopation in the Andante provided another moment to admire the composer’s gift of delicate variation. Joaquín Turina’s Piano Quartet in A minor brought the creative tumult of the 1930s to life. The Lento – Andante mosso played in unison by the strings opened with a sultry theme taken up by piano and cello. There was a dramatic restlessness in the unfolding thematic material throughout the Andante mosso, as the emotional flavor of the music shifted from reflective to almost violent, tossed between the instruments. While the Vivo continued to contrast contemplative and lively material, the mood was more playful with the strings offering precision pizzicato passages and resounding bass chords from Clerici’s cello. Broader string phrasing and more expansive piano chords accentuated the physicality of the final Andante-Allegrettomovements as the ensemble created an impressionist atmosphere haunted by romantic Spanish thematic echoes. There is a particular magic that transforms a performance when each musician in an ensemble really wants a work to reach the most perfect standard possible, and this occurred in the performance of Dvořák’s Piano Quartet No, 2 in E flat major, Op. 87. As we heard in the Mozart quartet, the skill of the musicians animated Dvořák’s consummate compositional craftsmanship. The Allegro con fuoco opened with robust energy, punctuated by the striking dynamic contrasts. Clerici’s cello solo introduced the exquisite Lento movement, so moving in the mood of tranquility sustained by each instrument. What began as a seemingly uncomplicated waltz in the third movement was developed to reveal the traditional essence of the source melodies and the idea of dancing continued in the Finale. Allegro, non troppo.Haveron really shone in this work, leading the string ensemble in communion with the piano. The infinite colorations described in the variety of bowing and changing rhythmic emphases made the work live and breathe. With such a musical gift as this final Selby and Friends concert for 2017, it seems that Christmas has come early!